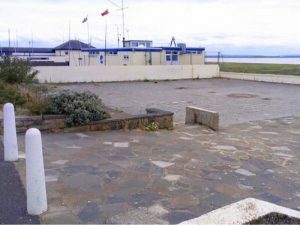 Flexing our ‘Mussels’ on former Mussel Tank, Lytham Beach Front with our latest project! Why is ‘The Mussel Tank, Lytham’ so special ? 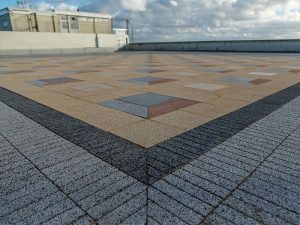 Historic use of this site brings modern innovation in the use of paving. 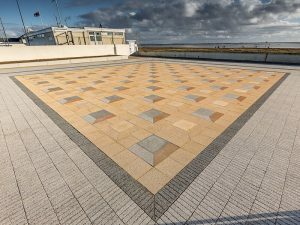 Provided by Hardscape ( http://www.hardscape.co.uk/ ), a paving and hard landscaping company based in Bolton. 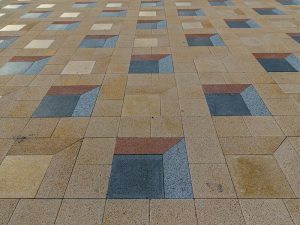 The paving layout was produced using CAD and water jet cutting technology to provide the central square with 3D features giving the impression of the former ‘Mussel Tank’. The design will incorporate planting, to be carried out by the local community, and a series of artwork panels set into an in situ cast concrete wall. 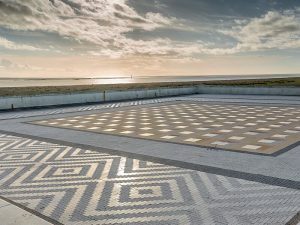 Hardwood seating and pre-cast concrete walls adorn the perimeter and provide a space to soak up the history of times past whilst looking towards the horizon of the Fylde Estuary. It is envisaged that the space will be used for events and performance whilst ensuring its past is not lost, the Mussel Tank is literally ‘set in stone’ for many years to come.